Diabetes Does NOT Have To Be Permanent! 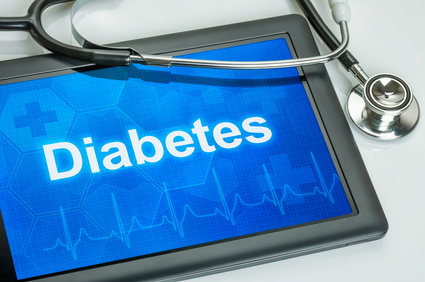 Rarely is diabetes listed as the cause of death; however, it is linked to so many different degenerative diseases, such as heart disease, strokes, and even premature aging. Type II diabetes is a new epidemic among children. In the past, it was termed Adult onset diabetes to distinguish it from type I which occurred in children. Today, this term can not be used because of the growing numbers in children. The epidemic is said to be driven by poor diet and the lack of exercise in kids. I believe that diet does play a role, and the lack of exercise to a lesser degree, however the hidden culprit is only now getting press. New research is linking toxins to the growing number of childhood cases of Type II Diabetes. Type I Diabetes, which is an auto-immune condition where the body is attacking the beta cells in the pancreas, has been linked to genetics and toxins already. The toxic link to Type II is still not making its way into treatments even in the alternative world. This is unfortunate, because if you don’t eliminate the cause, you will never find a cure. Until you understand the flaws of the drug-based system you are locked into, you will never be able to understand why you continue to suffer with diabetes, take one drug after another (perhaps including insulin injections), continue to gain weight, continue to lose energy and quality of life, and live with the fear of compli­cations. Common complications are loss of eyesight, heart damage, irreversible kidney damage, impotence, festering ulcers that will not heal, and eventual loss of limbs. In truth, the “complications of diabetes” are largely created by systemic drug treatments themselves (plus the inferior if not dangerous dietary advice given to patients). There is no other disease process, in my opinion, which illustrates our nation’s healthcare woes more than diabetes. If you have diabetes and continue to suffer with ill health related to it, if you are sick of being prescribed yet another drug, if you are seeing your life basically boil down to a daily struggle just to get through, then you are likely reading this at exactly the right time. Many diabetics just like you, in Texas, and across the U.S., have said enough. They have decided to reverse their condition. They no longer accept the sacred medicine mantra that the best that can be done for a diabetic is to choke down one drug after another in hopes of only slowing down the inevitable progression of the disease. Discover how you too may be able to reverse your diabetes and put your health on a very new trajectory.